What would winter be without reading books about animals that thrive in the cold and ice? 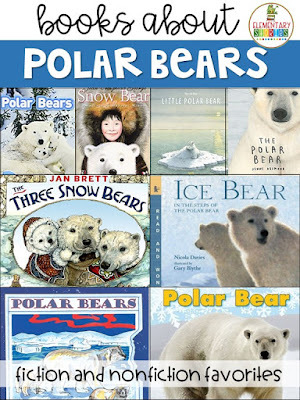 Students are always amazed by polar bears and there are some great books out there to share. Here are some of my favorites! The queen of nonfiction for younger students, Gail Gibbons does not disappoint with this one! It's filled with information about these majestic bears and the hand-drawn illustrations have so much detail! I love to use this book to show students that nonfiction books do not always have the traditional text features - no table of contents, no glossary and no photographs. My favorite activity to do with this book is have students create their own headings and table of contents. This gives them the opportunity to use what they have learned about main idea to figure out what the main topics are in the book. Another great series, the "A Day in the Life of" books give students a peek into the life of different animals. The text is perfect for beginning readers, there's a table of contents, bold words, a glossary, etc. Students always need practice asking questions related to the text. Use this text to have students create their own questions and then sort by which heading they might the answer in the table of contents. Or, have students look just at the photographs before reading and work with them to develop questions to be answered as they read. 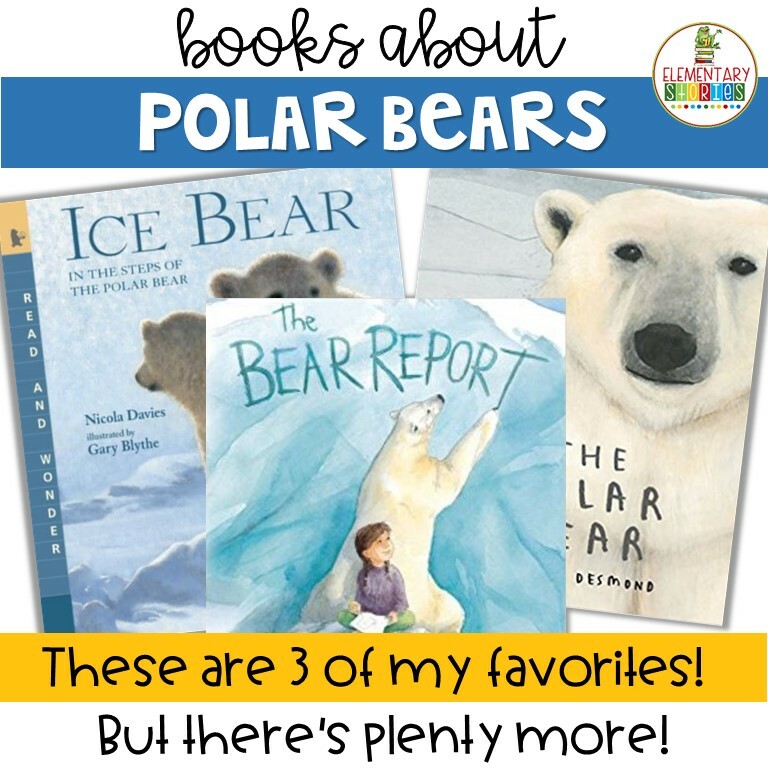 Ice Bear, by Nicola Davies, shares facts about polar bears in two ways - within the main story, and as fact tidbits along each page. This is a great book to use with a "can/have/are" type of graphic organizer. Many of the pages also allow for visualization,, so be sure to have students talk about what they "see" after hearing different pages. Students can also brainstorm words to describe polar bears, using fact from the book to support their ideas. I always like to mix fiction and nonfiction books on any topic I can. This gives students the chance to experience both types of texts and compare and contrast. They are also excited when they find a fictional story that has facts in it as well! Here are a few fiction titles on polar bears that should be easy to find. Jan Brett. Need I say more? Detailed illustrations, engaging stories and fantastic vocabulary. Start by asking students what they know about the story of Goldilocks and the Three Bears. (Time for a chart!) Focus on the main story elements, but leave room for ideas such as repeated phrases, etc. Now read The Three Snow Bears and compare and contrast. (You can also show students the cover and ask them what they think will be different in this version compared to the traditional story before you read!) Extend the learning by asking students to come up with a different setting - how would the story change then? This story about a polar bear cub who drifts off to the tropics is perfect for talking to students about fact and fiction. The story is filled with facts (may of which are inferred - yay! ), as well as fictional events. This book also lends itself well to discussing character traits and using support from the text. Vocabulary such as clung, sympathetically, gruff and rage gives students the opportunity to use context clues to discover meaning. Snow Bear, by Jean Craighead George, follows a young Inuit girl as she meets a polar cub on a hunting trip with her father. This is another great story to compare and contrast characters. There is also the opportunity to talk to students about the Inuit people and how they learn to live in harmony with the world around them. I love to find new and different books to read with my students each time we learn about a topic. These two are new favorites this year. The Polar Bear, by Jenni Desmond, is filed - absolutely FILLED with facts about polar bears - many of which I never knew. The text is written in an easy to understand way, but the best part about this book are the illustrations. Gorgeous watercolors fill the pages. The author uses many comparisons to make the wonder of the polar bear understandable to children. New vocabulary, rich description make this a perfect read-aloud. I found this gem sitting on the bookshelf in our school library. I love it! It tells the story of a lttle girl named Sophie who has to do a report on polar bears - a very boring subject to her, since the Arctic is just one big world of ice..... so she thinks.... until a polar bear shows up in her living room and takes her back to his home so she can see the beauty of the Arctic. The story is told in a conversation back and forth between Sophie and the polar bear. 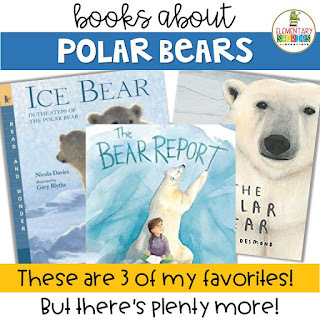 There are facts abut polar bears along the way, but this book is great to use to help students focus on how the illustrations add details to the story. Since the text is only a few words of conversation on each page, students must use the illustrations to pick up some of the meaning. This is a great book to start out your unit on polar bears, or any Arctic animal. Find any new books to add to your collection? 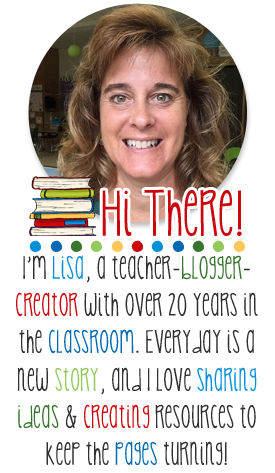 There are so many great books out there and I love to get new ideas from other teachers. 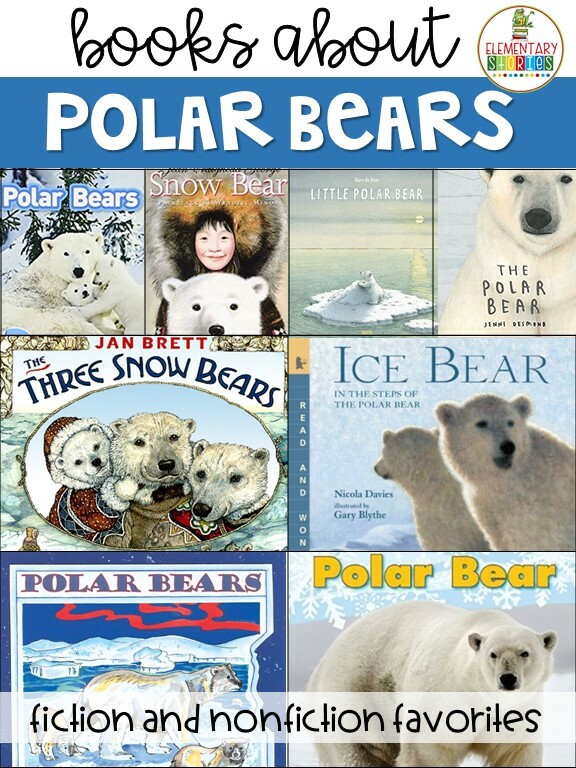 Let me know if you have any other favorites you like to use - or any new polar bear books that you've found. If you want to save this post for later, you can pin the image below. Happy reading!